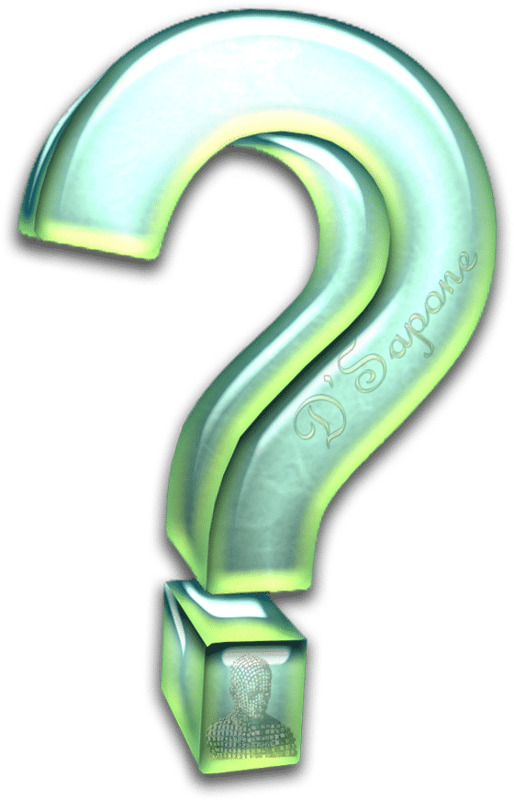 D'Sapone® thoroughbreds. Artists of marble. Attention to detail is important. It’s what separates the exceptional artists from the status quo contractors. You see, when our quality marble restorations meet your stone, everything has to be perfect. That’s why our family has been paying attention to detail for more than 80 years. Prepping the marble surface, removing all the stains and any sealants already in the stone, is the first step. Durability and that perfect sheen across your stone both rely on a fresh clean marble surface. Notice the image to the left, the top stone – we applied Celine, the clear resin sealer which creates a hydrophobic surface preventing acids from etching marble. The bottom stone is absorbing the acid, causing etching. Simply polishing marble using the powder and honing method, only brings the sheen to the stone and even when sealed with a regular stone sealer, it will still etch. Our patent polishing process is the only process that eliminates future etching. that mirror finish you strive for. Now we polish the marble to achieve that mirror finish you strive for. 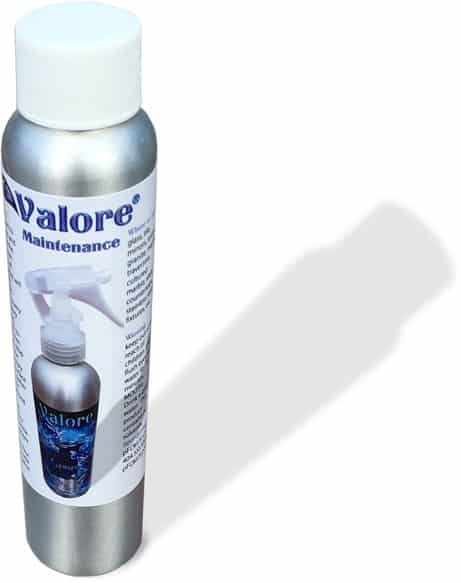 Once the Celine has dried and filled all the voids in marble, the clear resins are embedded in the stone, protecting the marble from any etching issues. 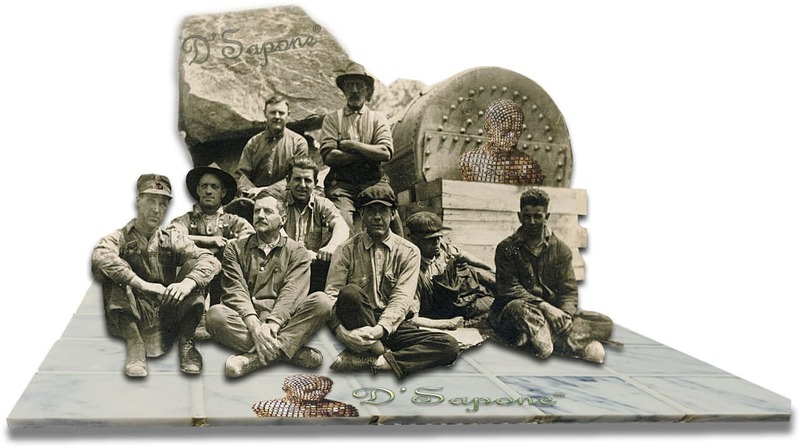 Now our artists will start our patented marble polishing process bringing your marble to a mirror finish. It is the art of polishing marble, which makes our artists passionate to be the best, knowing others can’t achieve the results. Polishing marble should always be performed with our patented process. Acids etch marble very easily, even when stone was sealed with a stone sealer. Acids are in Coke, hand soap, cleaners and much more. 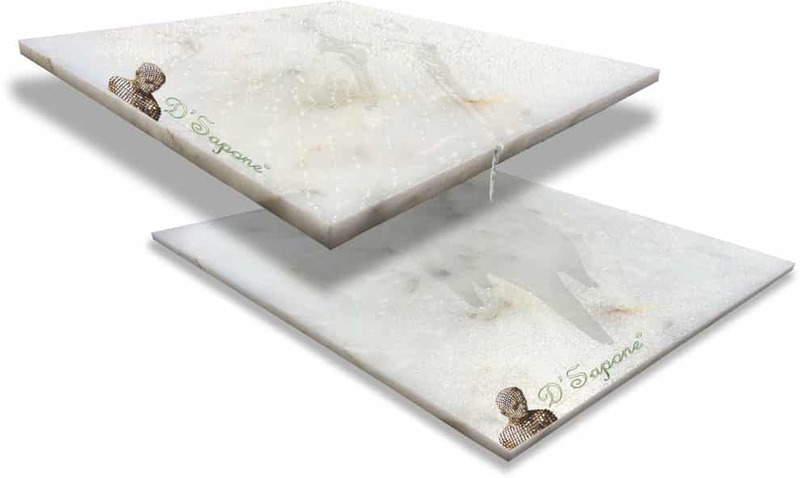 Once it happens, it’s already too late, unless D'Sapone® polishes your marble stone with Celine, preventing future etching. 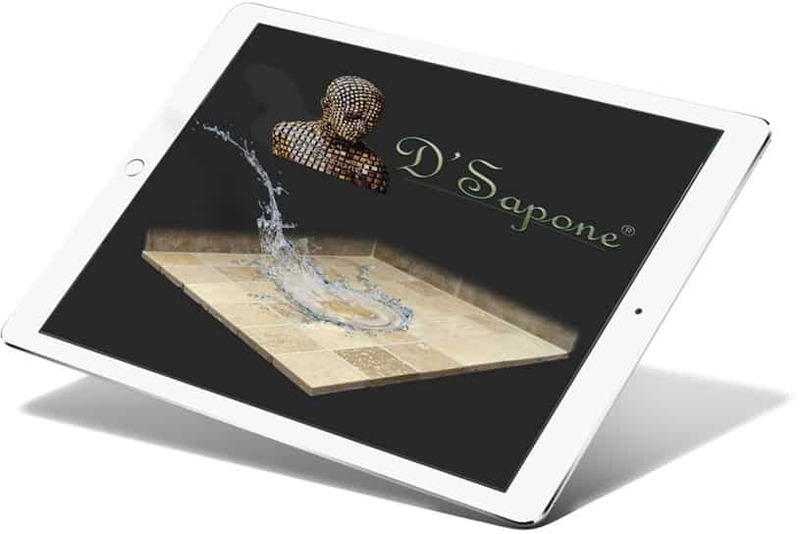 Receive an estimate free today provided by a certified marble polishing artist. Simply fill out our estimate form and choose from one of the options listed on the landing page 1) we can call you back, 2) schedule an on-site estimate or 3) upload your images for an online estimate.